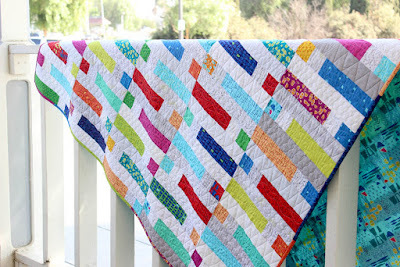 Welcome to Day 4 of our Modern Marks blog hop! 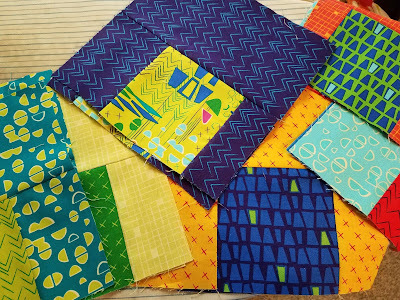 We're loving seeing what everyone has made using Christa's fabric, and we hope you are too! 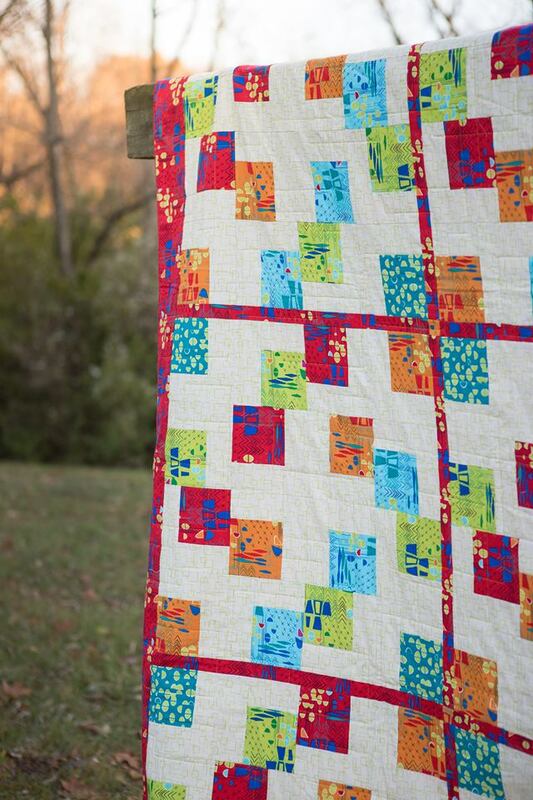 "I was so excited when Christa asked me to design a quilt using her new Modern Marks fabric line and knew I wanted to make a quilt that showcased how bright and beautiful the prints are. I came up with a modern sampler quilt as a way to mix and match the prints in the fabric line." Click here to see Heather's post. "I was excited to try out the different values of blue in the Modern Marks collection. 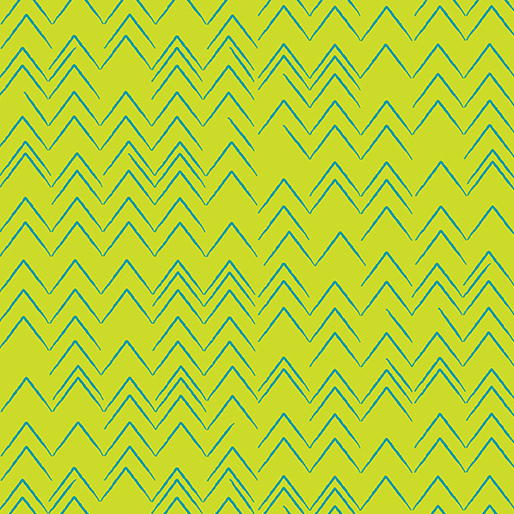 I scaled up one of my Dancing Narwhals patterns to show off the prints and added some icy arctic waters below." Click here to see Andrea's post. Welcome to Day 3 of our Modern Marks blog hop! We're loving seeing what everyone has made using Christa's fabric, and we hope you are too! Click here to see Hilary's post. "When we saw the fun, retro shapes and bright colors in the Modern Marks line, we immediately channeled our inner 80's divas and drew inspiration from THE 80's diva, Madonna. 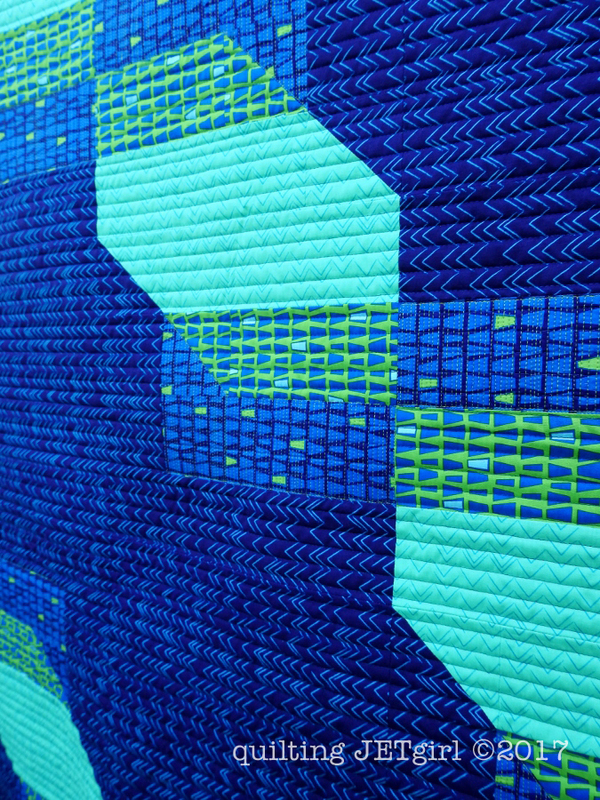 And thus, our quilt 'Into the Groove' was born." Click here to see Pam and Lynn's post. Today we're talking with Christa Watson about her first collection, Modern Marks. If you love saturated color, you will love these fabrics! Today also kicks off the Modern Marks blog hop--check out the sneak peeks of the first two posts at the bottom. 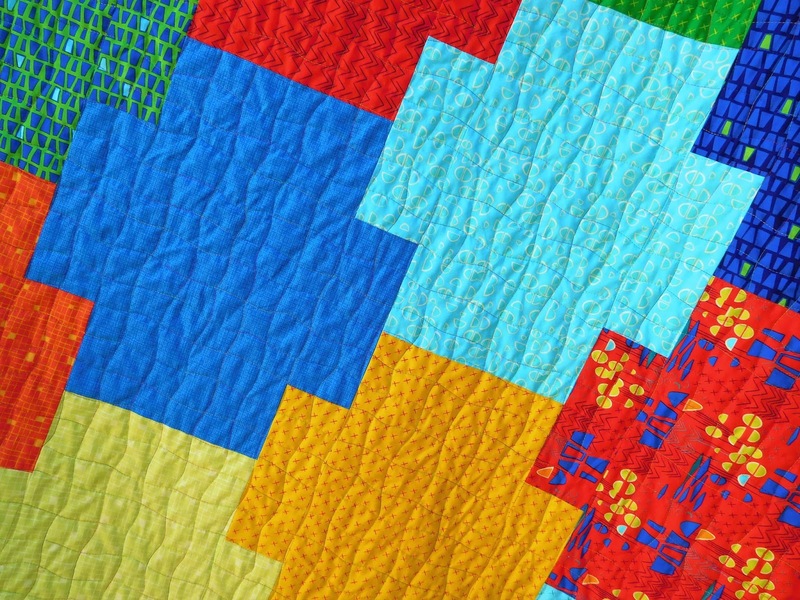 I started quilting back in the 90s. A friend was making a charity quilt and she invited me to help. I was smitten by just touching the fabric. It was literally love at first stitch. How did you make the jump to designing fabric? Designing fabric was one of those “the universe is listening” moments. 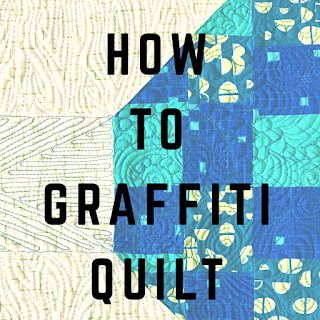 A year or two ago, I decided that I had this little bucket list—write a book, design patterns, and do classes for Craftsy. I attended a convention called SewPro for people who wanted to get into the business of quilting. 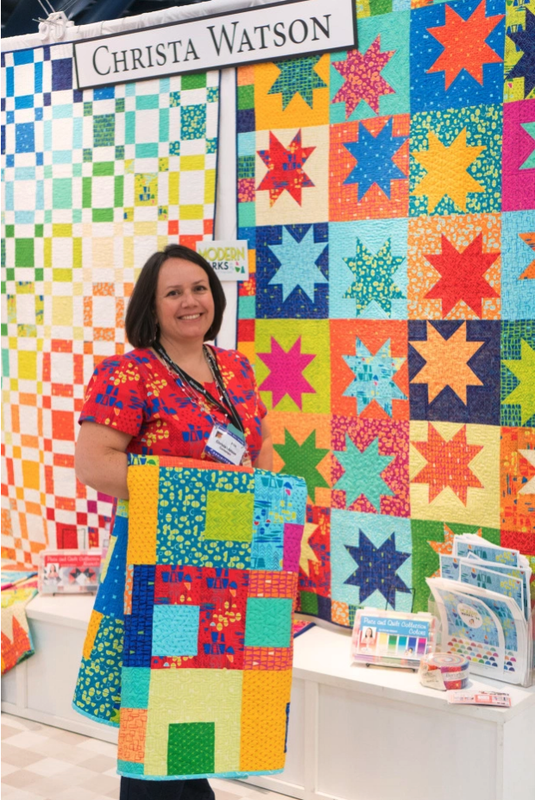 I went to a panel on fabric design and listened to Tula Pink, Pat Sloan, Alison Glass and Sara Lawson talk. I came home knowing I wanted to be a fabric designer, and Benartex called. I had visions of what I wanted to do—bright, geometric and modern. All the ideas in my head came pouring out. I was a little scared—my ideas were very bright, very saturated and very out there. But I loved it. And I wanted to sew with it, so I knew others would too. What elements did you take into consideration as you designed? Value changes are really important to me. If everything is flat with the same intensity, it’s very boring. Value changes add sparkle, which makes great quilts. I also knew I needed to have at least one fabric that could read as a background, as a low volume print. 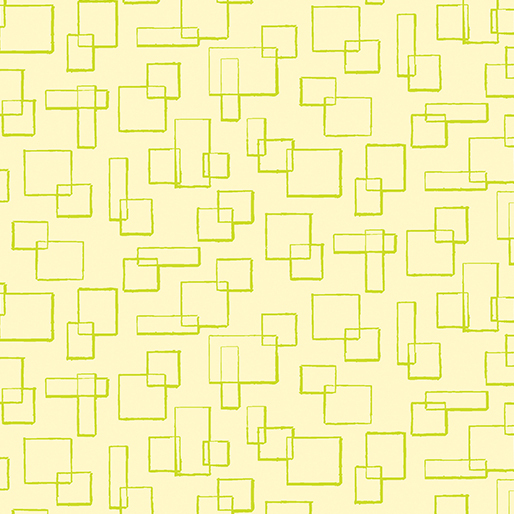 It’s the boxes in lime and cream. I wanted it to be able to pair up with everything in the collection, but also not be so light that it wouldn’t work well with the other prints. It doesn’t stand out like a sore thumb when it’s paired with a black, white or gray. It was also really important to me that the prints would look good cut up into tiny pieces. Did you start with the mash up print? Nope. I knew I wanted that print, but not how to get it. 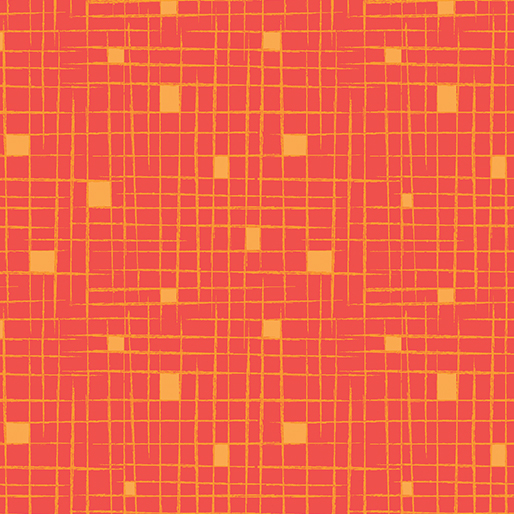 I started with the other prints first—they’re all highly geometric. 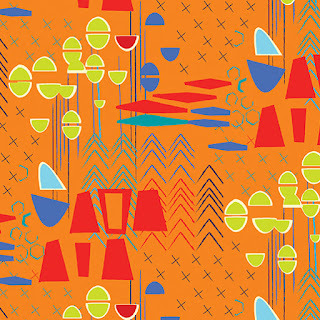 Then Benartex helped me “mash them up” into a print that pulled everything together. That was the hardest thing of all. I wanted to do all the colors in the rainbow and had to narrow it down. 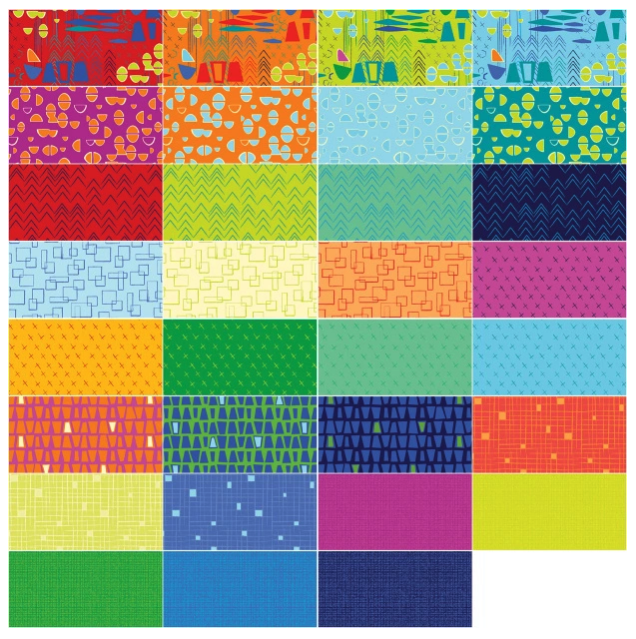 We tried all the prints in a rainbow of colors and then I was able to say yes and no to different colors for each print. I’m glad I was able to get so many colors into the collection. My absolute favorite is the crosshatch. That’s one of the designs that is not so crazy with design—more tone on tone. 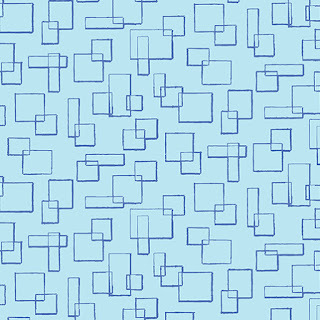 It kind of reads as a plaid or crosshatch with the little squares that give a hint of something. It’s probably the most understated print in the collection. I also really love the herringbone print. 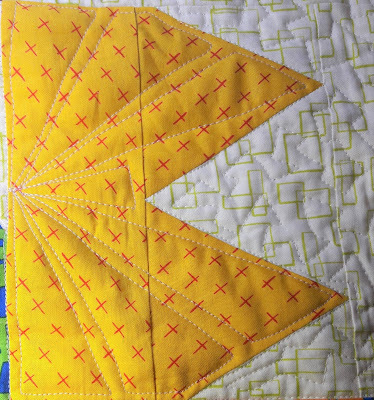 I tend to like the more tone on tones because you can see more of the machine quilting design. 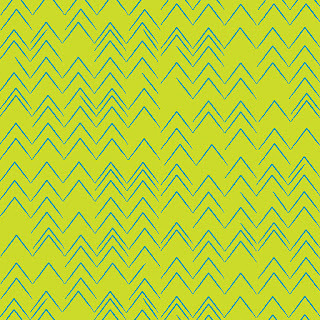 It reminds of a machine quilting design I do. My other favorite is the boxes print. 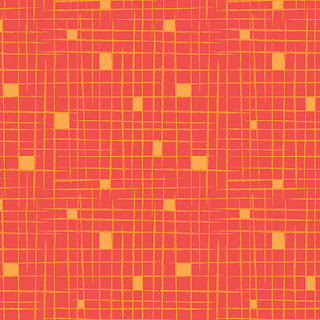 It’s based on a very modern geometric quilting design that I do often called "boxes." In fact I quilted this design when I created my free Rainbow Taffy quilt pattern. 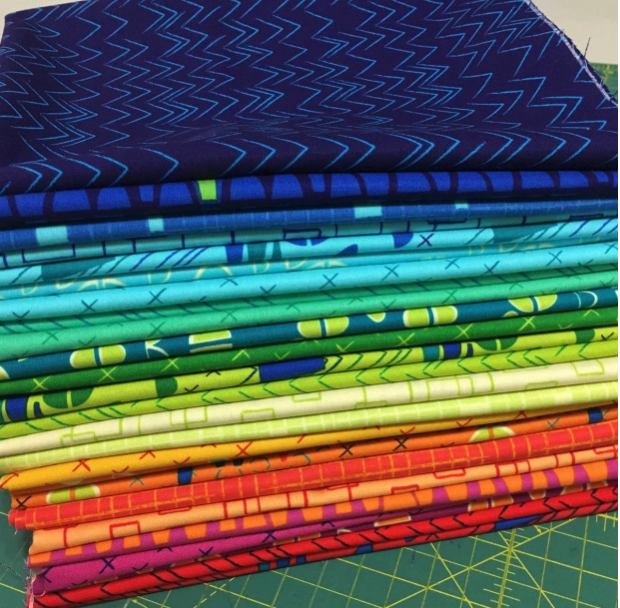 What has surprised you about designing a fabric collection? I didn’t realize how much I’d enjoy seeing people making things with my fabric. It’s the most fun thing I’ve ever done. 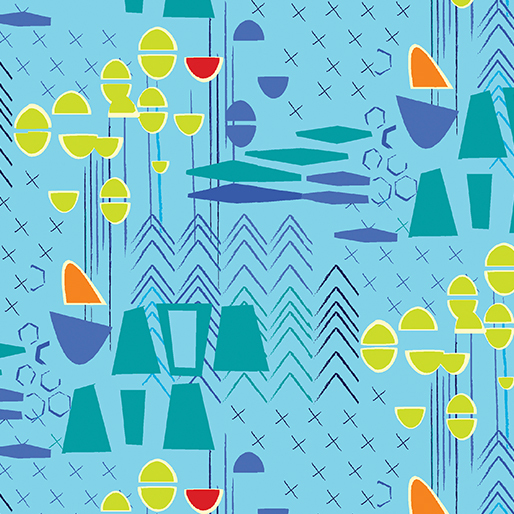 I want my fabric line to do well because I want people to use it because I love seeing what they make. I didn’t expect that. 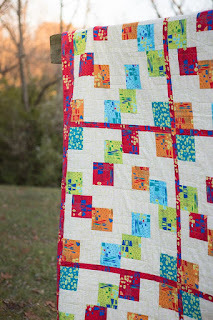 Our Modern Marks blog hop starts today as well! 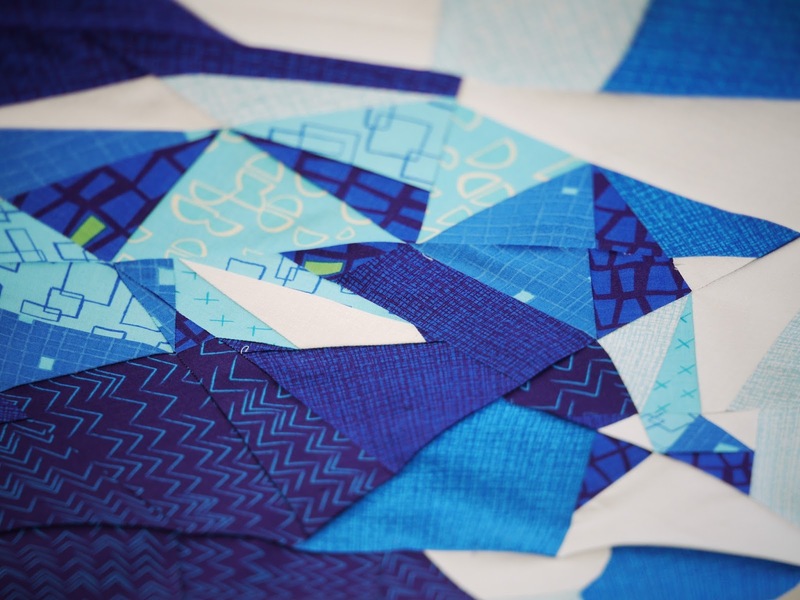 We have eleven bloggers this week sharing what they've made using Christa's new fabric. Below are sneak peeks for today's designers--head over to their blogs and get inspired, plus find out how you can enter to win a fat quarter bundle of Modern Marks fabrics for yourself on each post! "I designed Broken Panes to show off the large prints of Modern Marks. 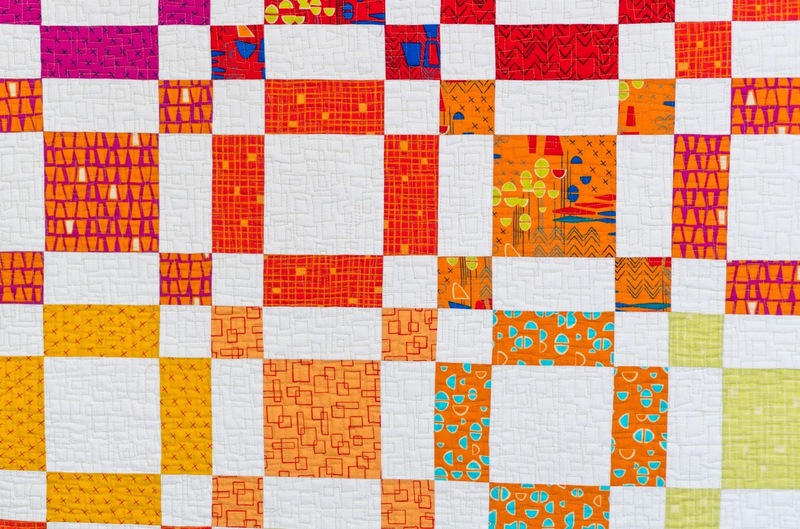 Christa's use of interesting and funky shapes within each color makes for great movement throughout each square." Click here to see Jen's post. "Gorgeous fabric requires gorgeous quilting-- Join me today to learn the basics of graffiti quilting and enter to win your very own bundle of Modern Marks." 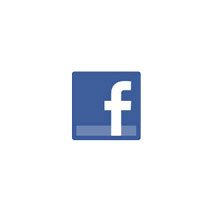 Click here to see HollyAnne's post.